What Do You Want To Know About The 2016 Ducati Scrambler Sixty2? 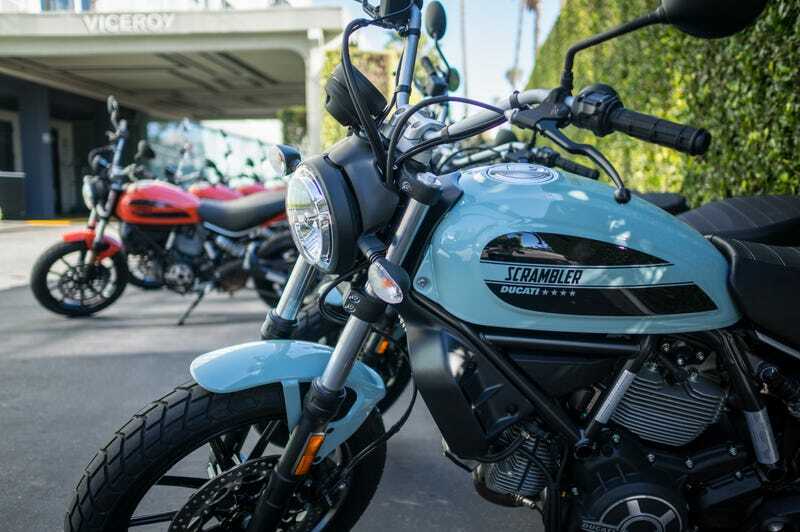 The second model from the Scrambler Ducati line is making its way stateside, and I spent a day romping all over Venice, California so I could tell you about it. Photos are being edited and the review is on the way, so get your questions in now. As a quick refresher, the Ducati Scrambler Sixty2 is Ducati’s new 400 cc twin. While the regular Scrambler isn’t exactly a beast in the power department, it has a lot of motor for a fairly small bike. At 41 horsepower and 25 pound-feet of torque, the Sixty2 is much more appropriate for newer riders or people who want to putt around urban areas without worrying about popping wheelies. Any and all inquiries are welcome, and I promise to read as many as possible until I get annoyed or bored by people saying “nothing,” or ask if it’s only for hipsters. Because I’ll get to that. Bonus points and stars for asking something I haven’t thought to already answer or for being extra funny. Lanesplitter needs to get more COTD noms.